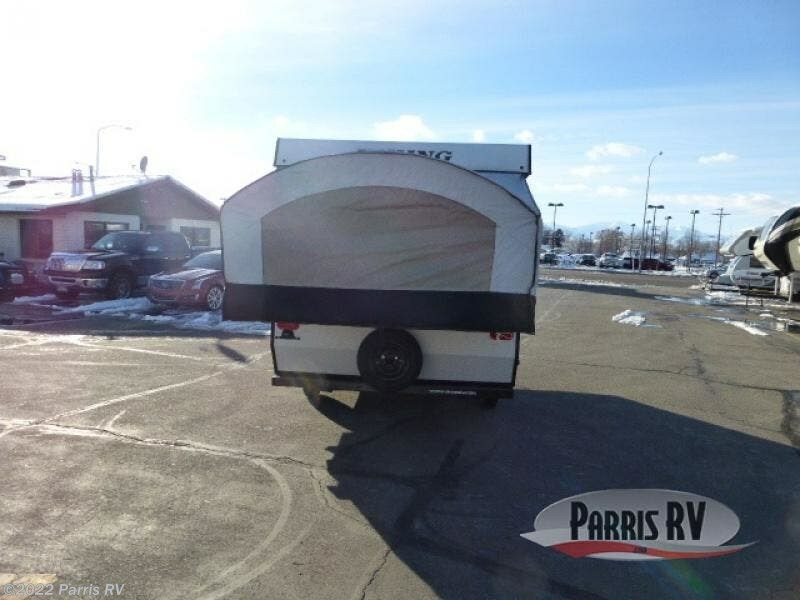 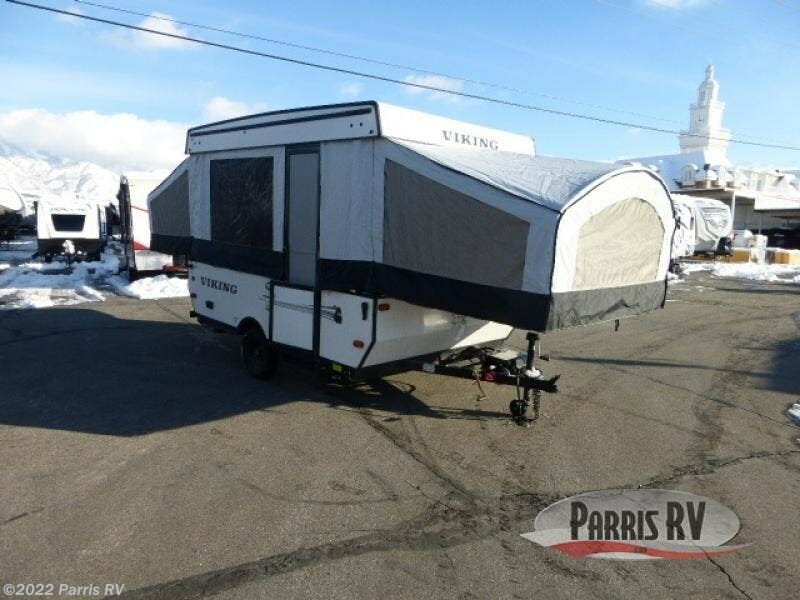 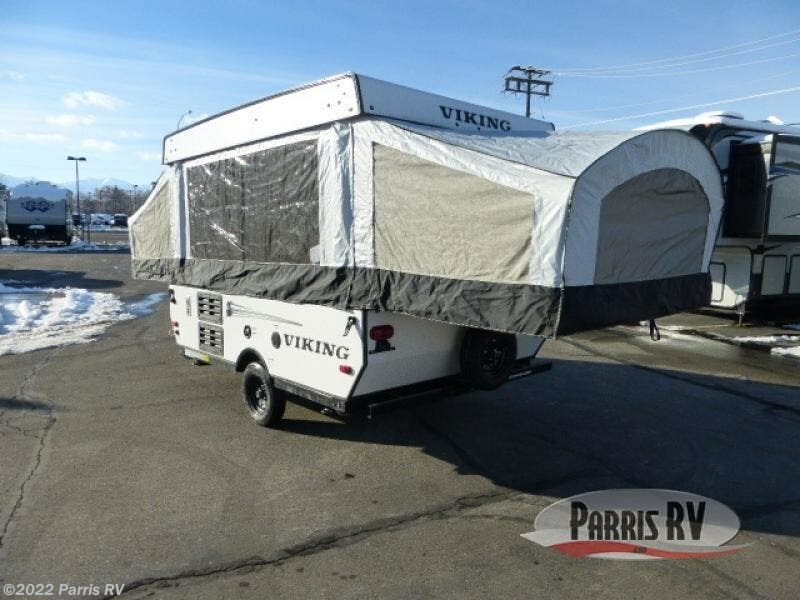 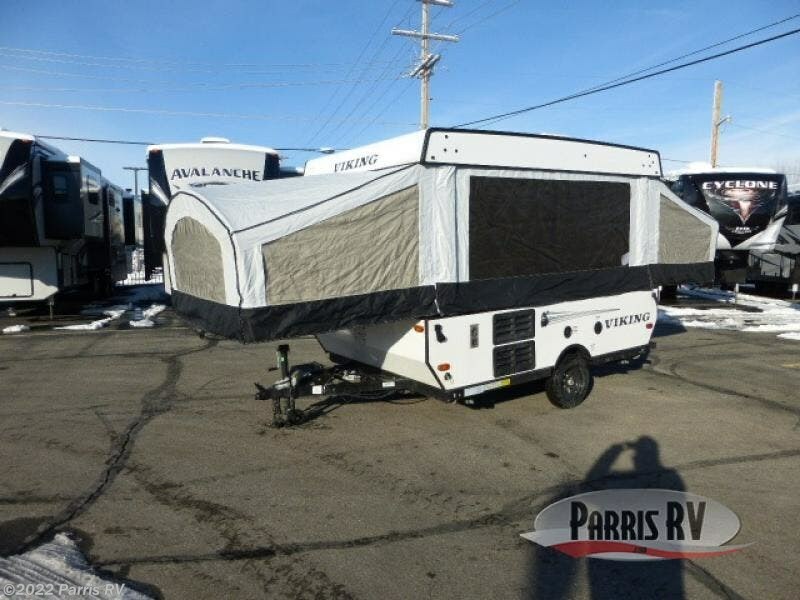 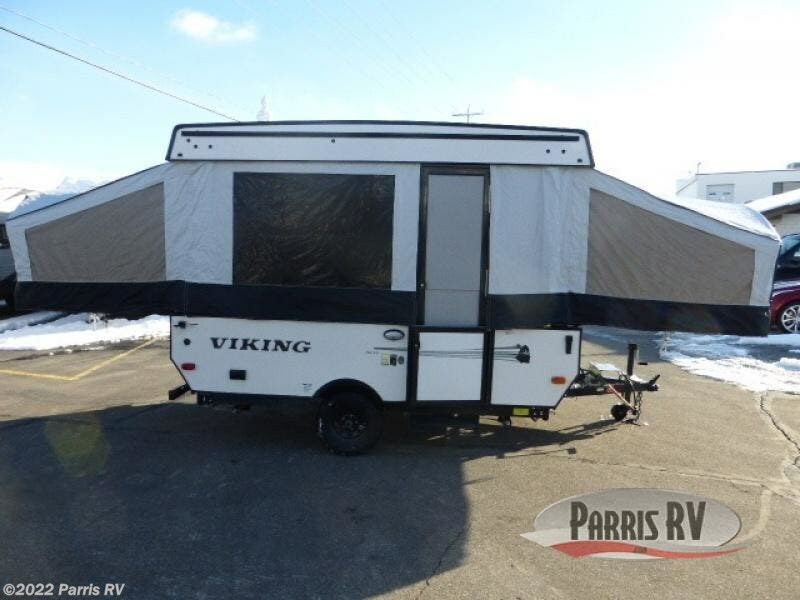 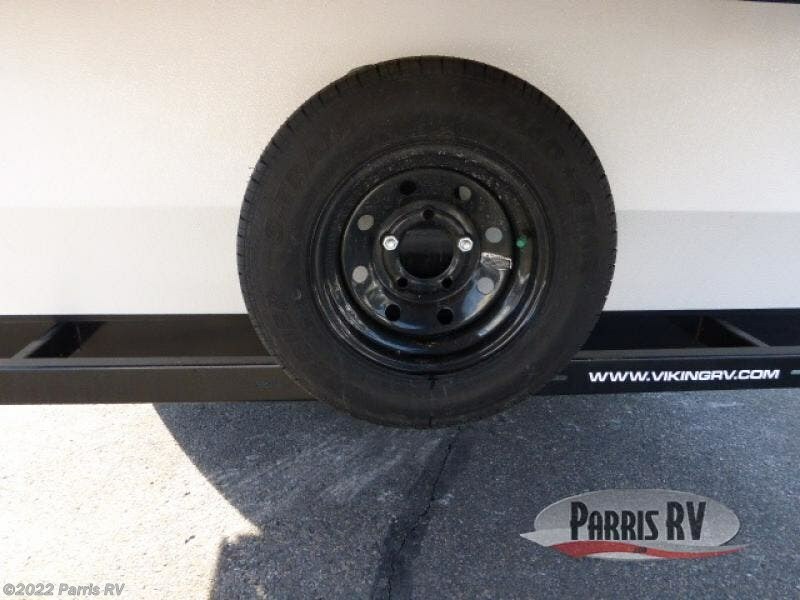 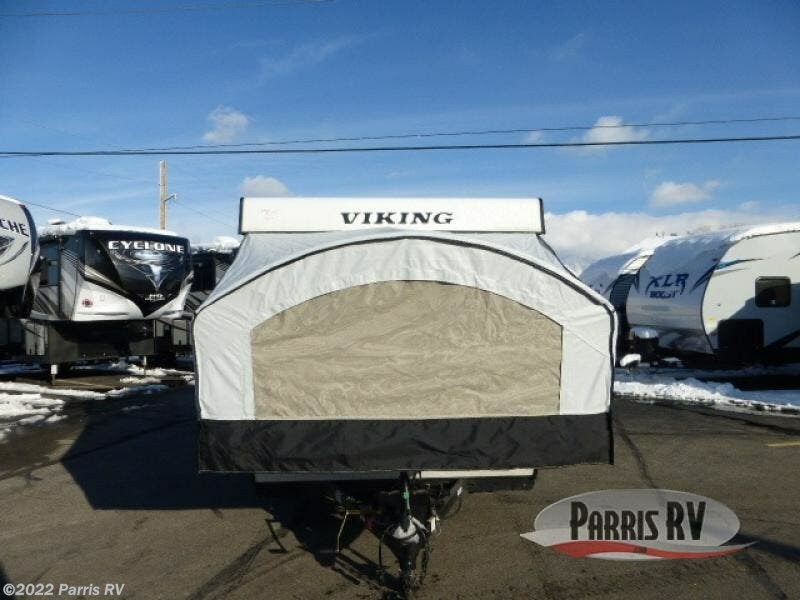 You are sure to enjoy this Viking LS Series folding pop-up camper on every trip. 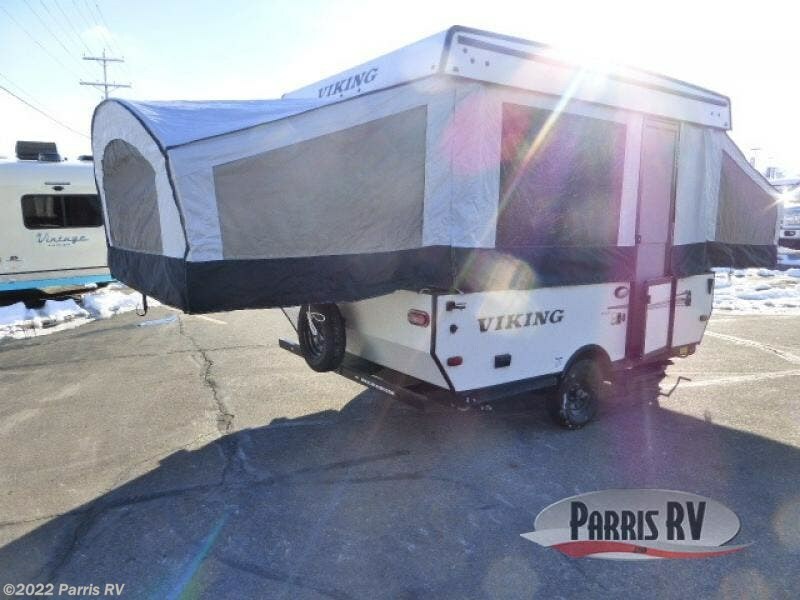 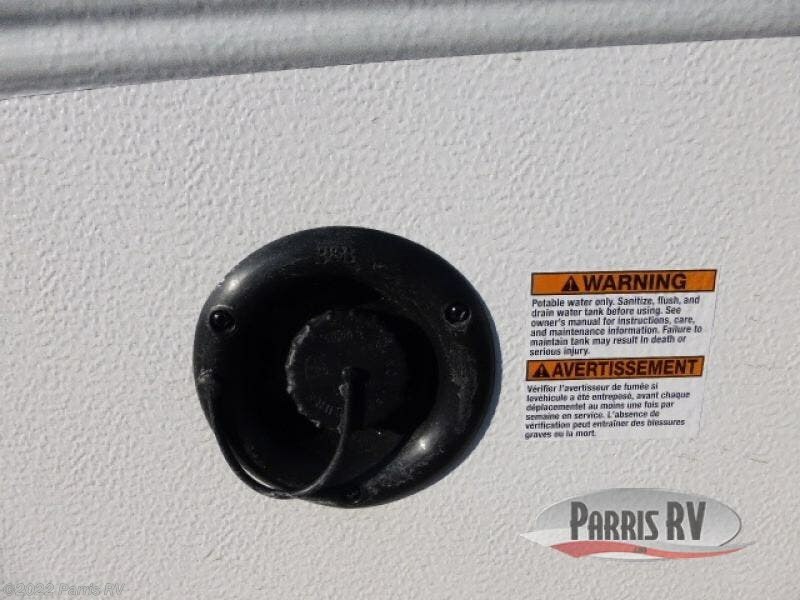 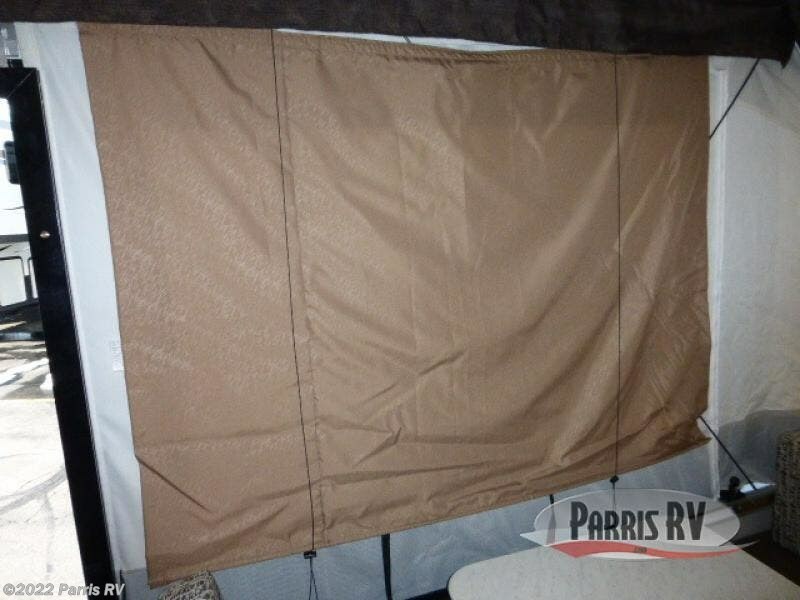 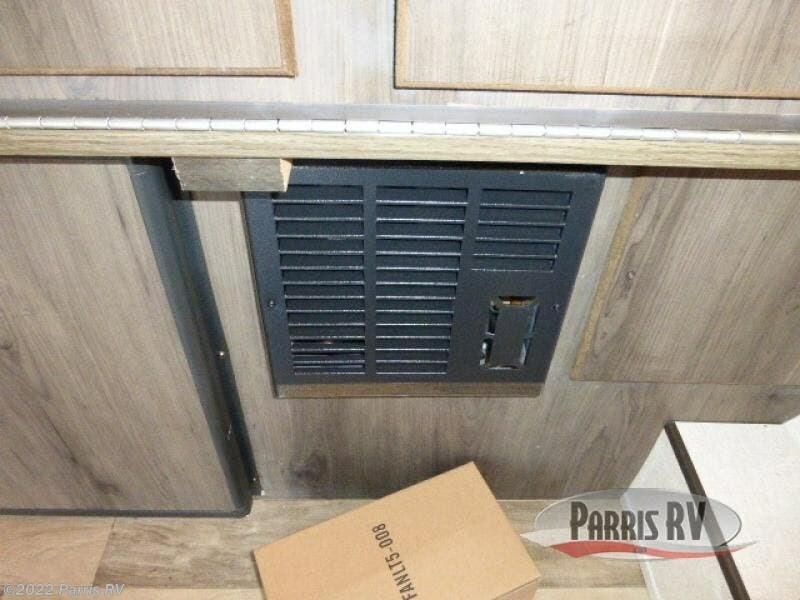 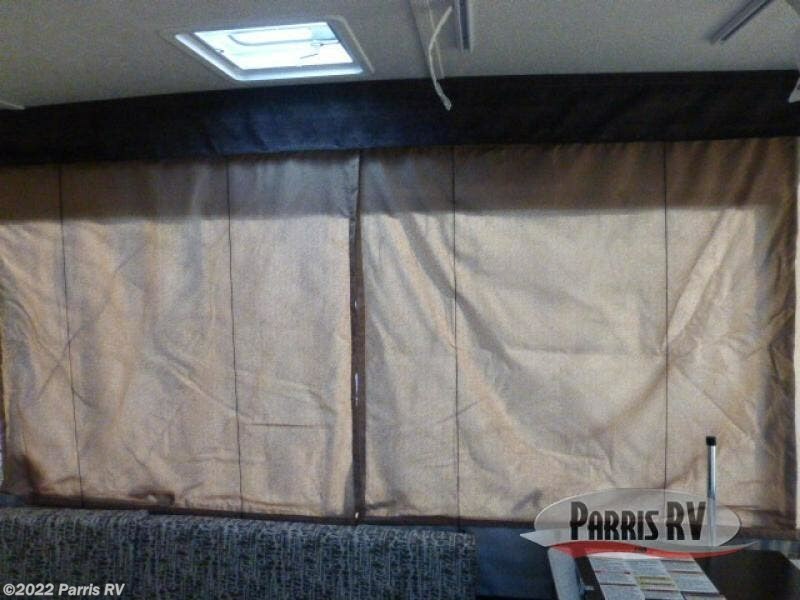 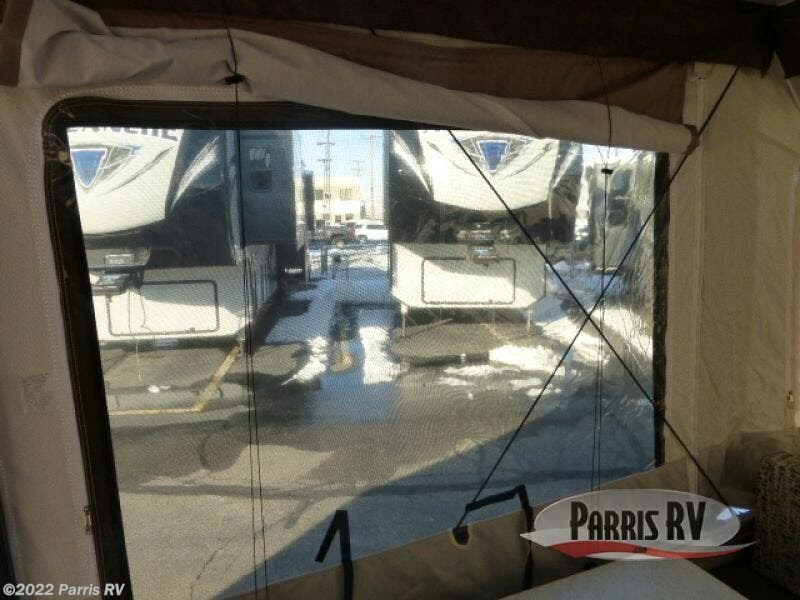 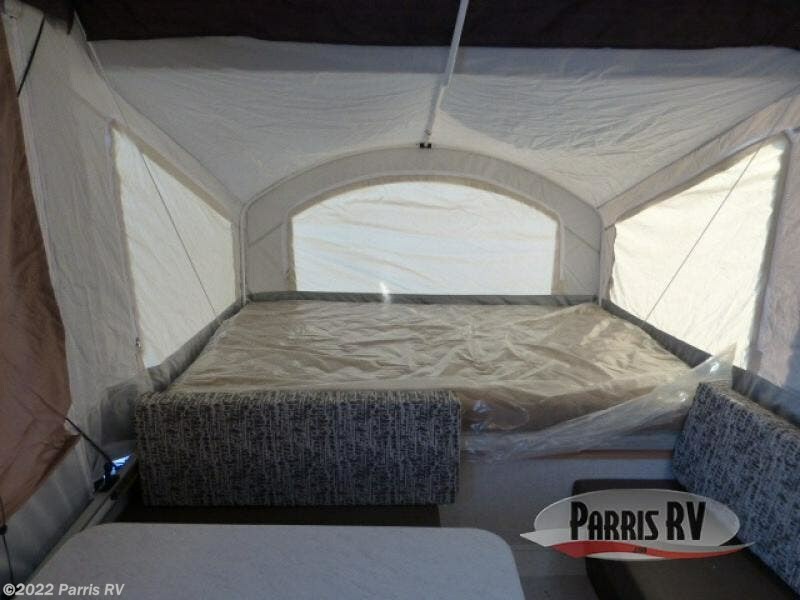 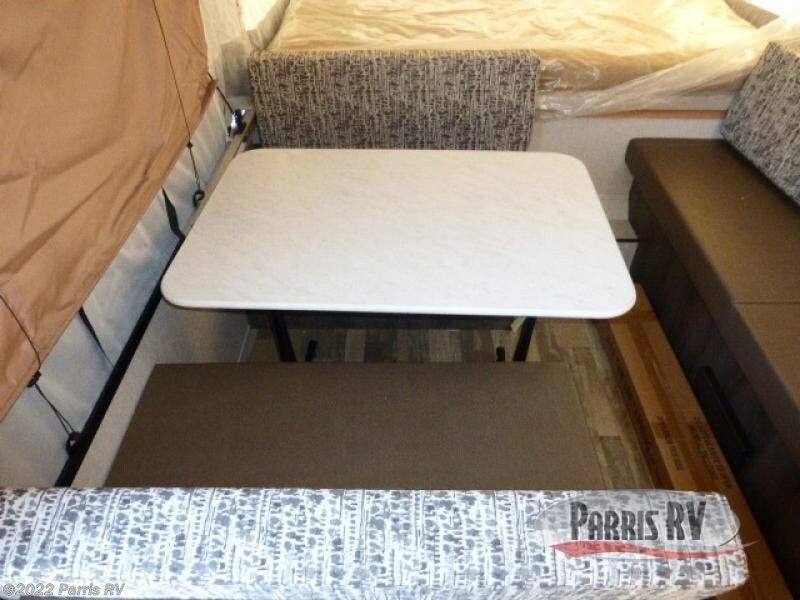 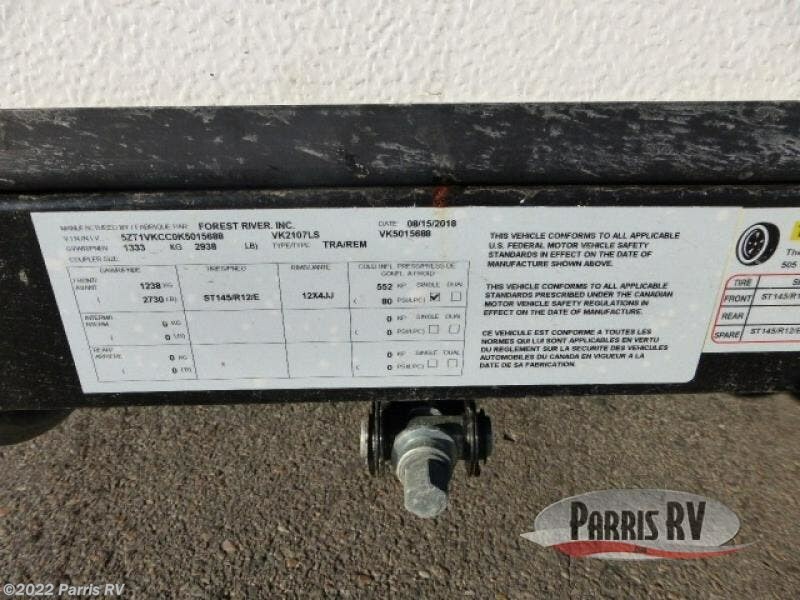 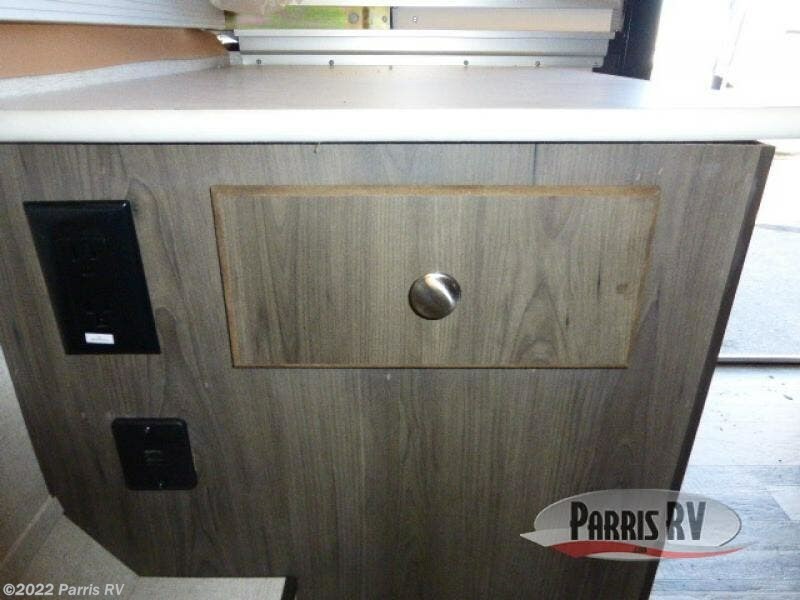 There is plenty of relaxing space inside with a lounge sofa and booth dinette once the front queen and rear full-size tent end beds are set up. 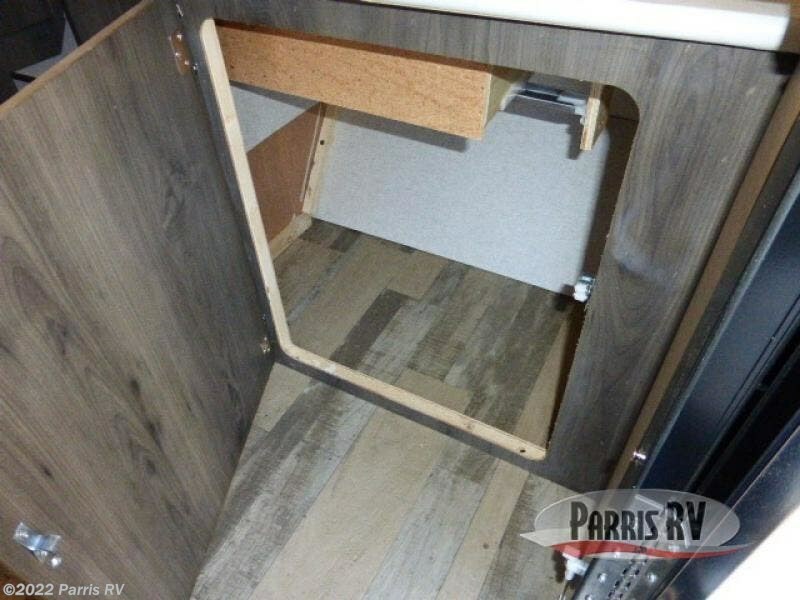 When you step inside, you will find storage on your right, as well as underneath the booth seating on your left. 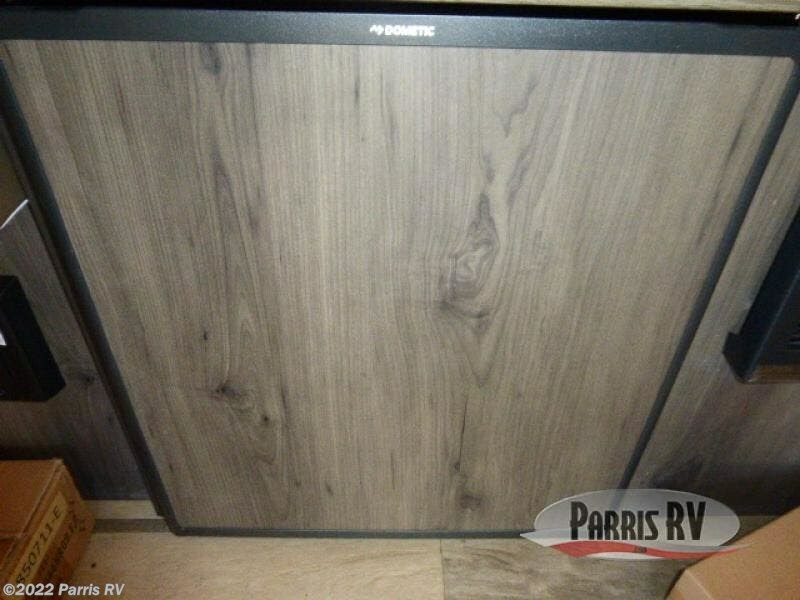 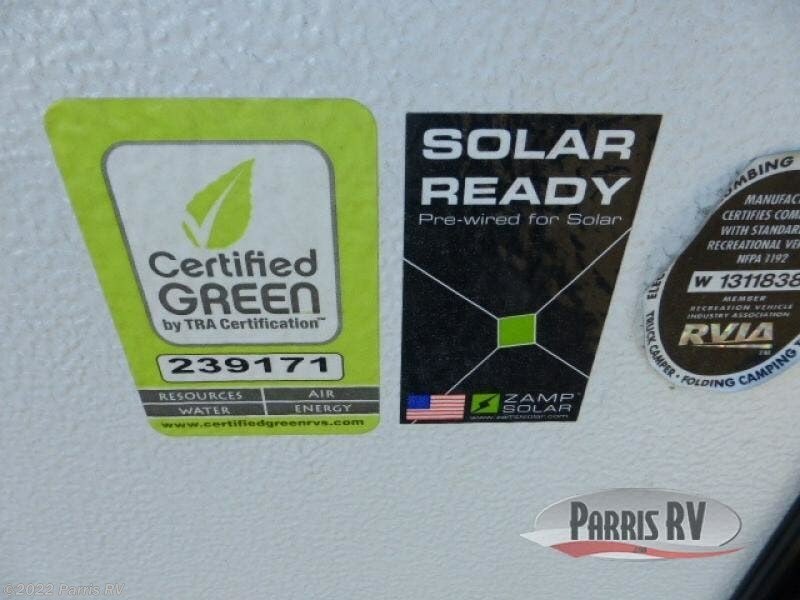 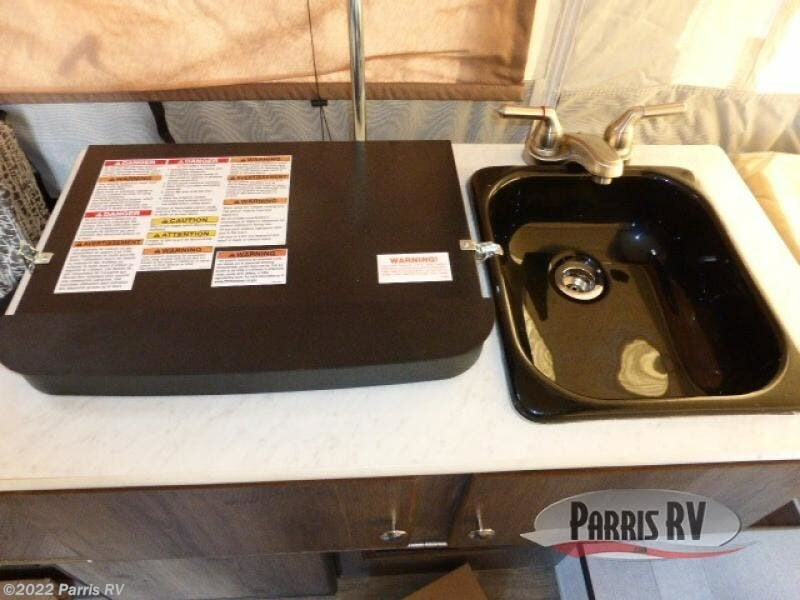 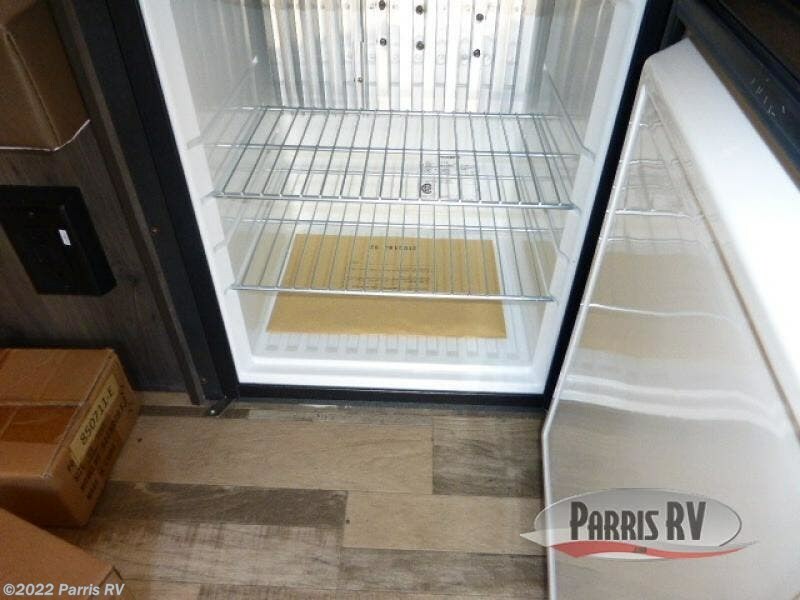 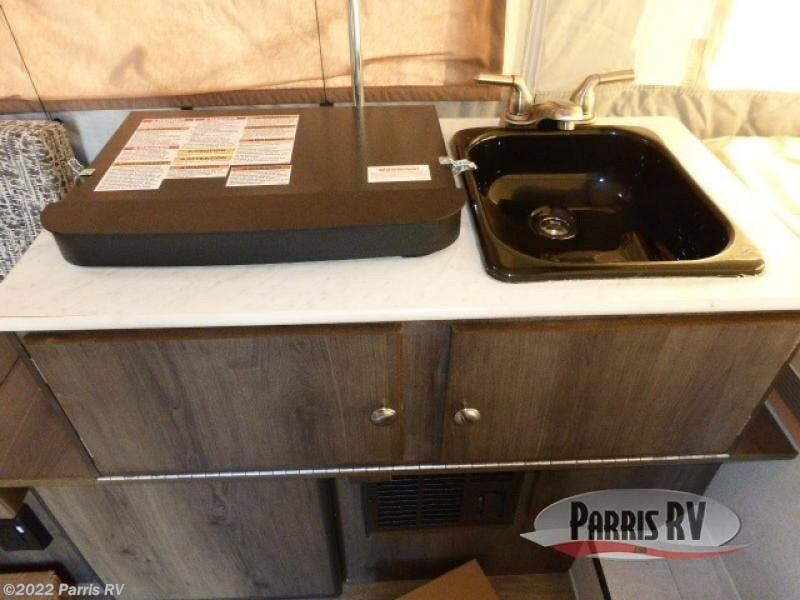 Just ahead there is a convenient two-burner range and 1.9 cubic foot Dometic refrigerator for all of your cooking needs, and there is also a kitchen sink to make cleaning up a breeze. 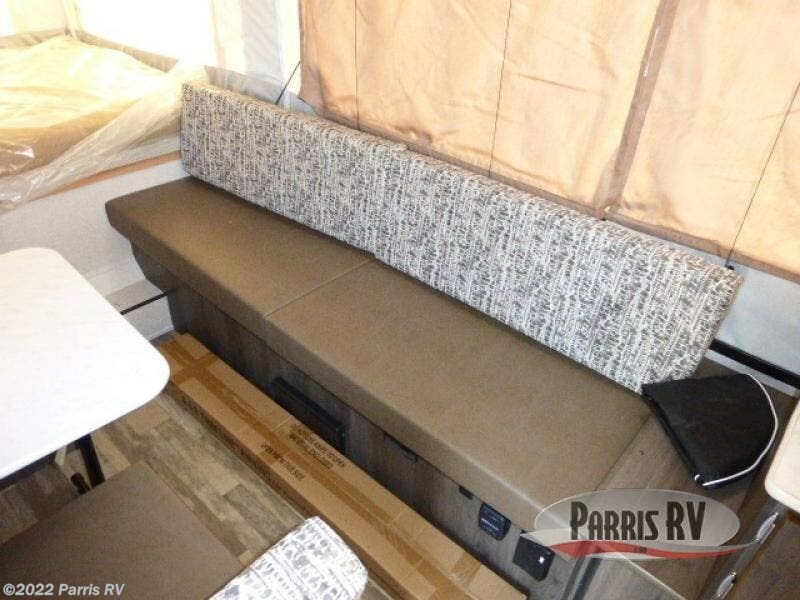 Enjoy meals together at the dinette table, which can be folded down to provide additional sleeping space later on, and the bench seats lift up to provide storage below for games, camping gear, and more. 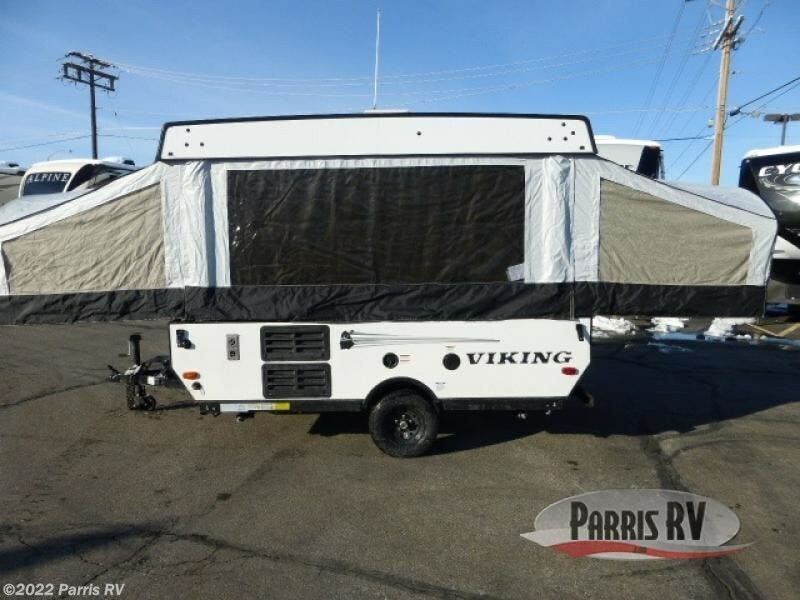 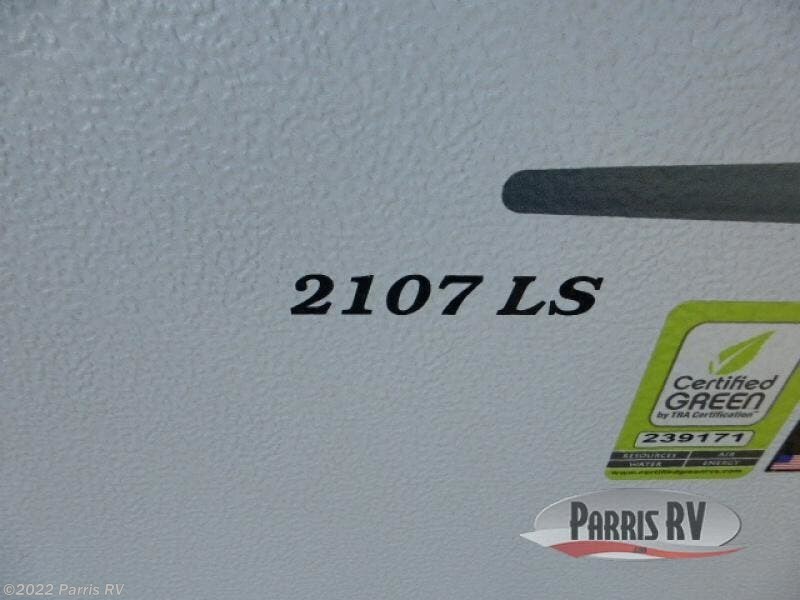 You will love the compact yet accommodating amenities that can be found on the Viking LS Series pop-up camper by Coachmen RV! 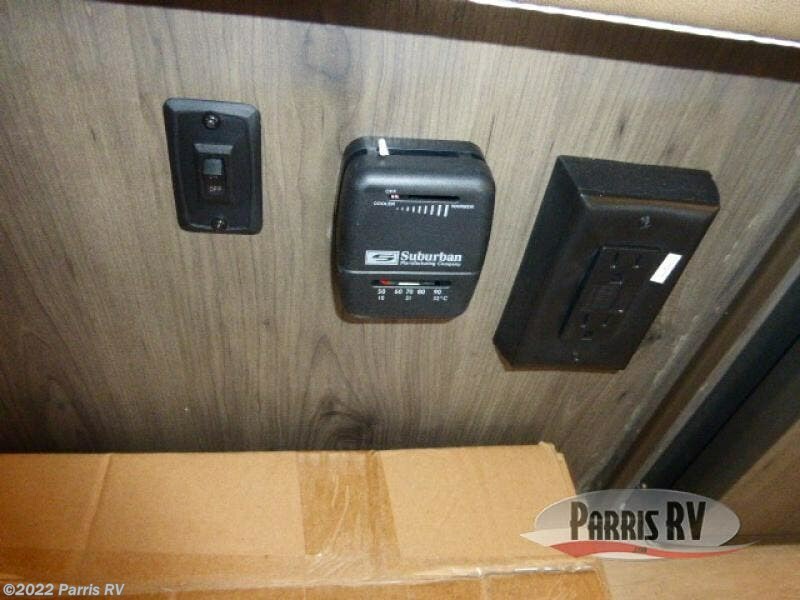 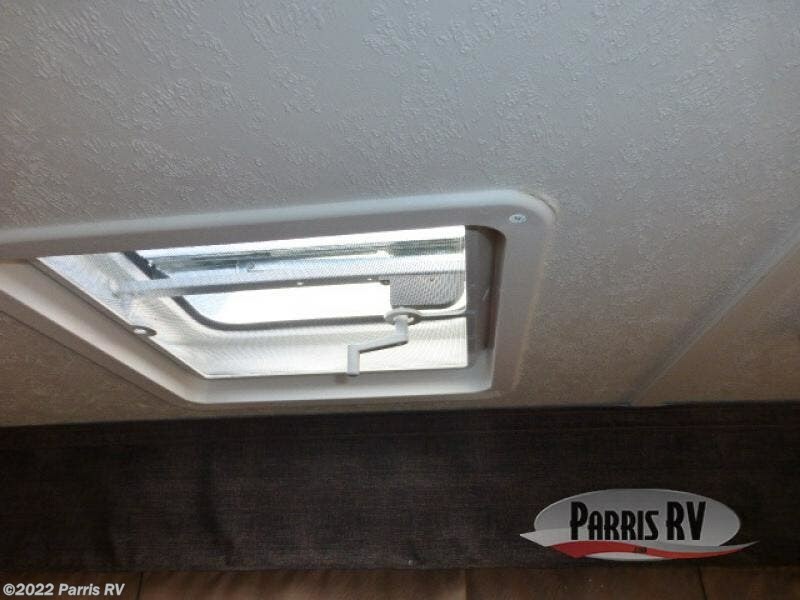 Throughout the night you can rest assured that your family will stay warm and cozy with the 20,000 BTU furnace that has been installed, and if you find yourself camping out in the middle of summer, the two LED bunk fan/lights will come in handy for keeping a cool breeze flowing all night. 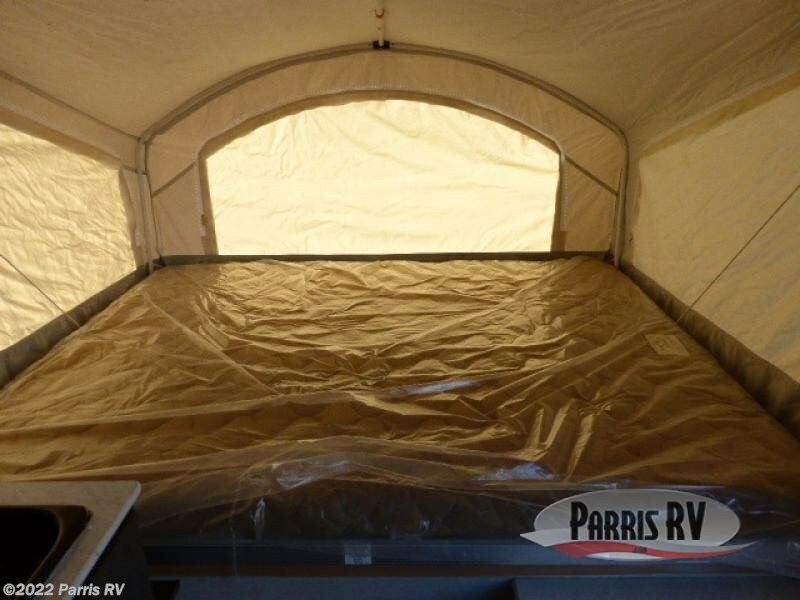 The A & E awning will deliver protection from the hot sun or scattered showers as you spend your time soaking up the fresh outdoor air, and the interior residential-grade linoleum flooring will make it easy to clean up any unexpected spills.